When buying a property, it’s very easy to let the excitement take over, especially if you’re a first-time buyer. However, you cannot fall into the trap of letting the initial wow factor lull you into a false sense of security. This is the biggest financial investment you’ll ever make and will also be the place for your family to grow. Therefore, conducting a thorough inspection is imperative. Without this process, you could leave yourself open to a potential nightmare. Here’s all you need to know about the process and how it can prevent you making a mistake or put you in a stronger position to negotiate on the price. Alternatively, it may simply confirm that this is the home of your dreams! When viewing a property, you’ll naturally be thinking about the space and all the incredible things you’ll be able to achieve with it. Still, it’s equally vital to be vigilant to potential faults that could lead to major problems and expensive repairs further down the line. Let’s take a closer look at the issues you should look out for. Roof: Check the shingles for potential signs that work is required. You are most likely to notice this on the South side of the property, as this attracts the most sun. Guttering: Look for signs that guttering is coming away from the walls. Garage Door: Whether electric or manual, check it opens and closes smoothly. Driveway: Is the tarmac/gravel in the condition you’d expect? Lawn: Is the lawn in good health? Yard: Check for dead trees and other items that will require costly removals. Outlets: Test lights and other outlets to rule out the threat of circuitry problems. Windows: Check for broken panes, and think about the thickness of the glass. Open and close each window to analyze their function. Doors: Open and close all doors, using their full motion. Look for stiffness, whether they scrape the floors, and potential draughts. Floors: Walk across the whole room as you may find creaking floorboards or noticeable unevenness. Walls: While some cracks are nothing to worry about, you should make a note of them. Holes are another issue to look out for, as is signs of dampness. Trim: Check for damage because if there is you’ll probably need to replace the whole thing. Water heater: Look for signs of leaking water around the base. If there is an installation date, this info is handy too. Furnace: Again, seeking the installation date is important. Lights: Check all lights in all rooms. Stairs: Test the stairs for creaking and unsteady rails or spindles. Plumbing: Check for leaks and then flush the toilet. Run the taps to test the drainage. Toilet: Is it installed properly, or does it move when being used? Flooring: Look for broken tiles or lifting vinyl due to water damage. Bathtub: Keep an eye out for damage, such as cracks. Vanity: Open and close it, and check its sturdiness. Ventilation: If there is a window, check it opens freely. Test the fan to ensure hot air and moisture will escape the room. Flooring: Look for scratches on hardwoods or signs of major damage on carpets. Closets: Check to see that they open and close as expected. Cabinets: Test all cabinets and drawers to see if they open and close as they should. Also, consider your storage needs to ensure the facilities are good enough. Oven: Check the door, and turn it on to see that the fan and element work as expected. Stove: Test each burner individually, and then collectively, especially if it’s a gas stove. For electric ones, checking that they all work simultaneously will suffice. Hood: Check the cleanliness of the hood as well as the fan and light. Dishwasher: Look for how much space there is, and check that the springs for the door work as expected. Garbage Disposal: Check that it will safely dispose of all waste. Doors: As well as checking that they open and close, think about how they will impact the room when opened. Flooring: Check that state of the flooring. Place a marble on the floor and see if it rolls to one side If so, it indicates a slant. Windows: In addition to the mechanism, think about the material and how it’ll affect the insulation. Walls: Cracks, holes, and damp are arguably most common here. Be thorough and look behind anything obstructing walls, as they may have been placed there strategically. Odor: Bad smells can be another sign of mold and problems. While it is possible to spot a lot of problems simply by using your eyes, you’d be very naïve to end the inspection there. Some jobs are best left to the experts, which is why arranging a professional property survey is vital. It’s best to find an independent service without the help of the selling agent. Not only does this give you the greatest chance of getting value for money, but it provides peace of mind by knowing you’ve acquired an unbiased service. Choose a service with credentials. ASHI (American Society of Home Inspectors) and InterNachi CPI (Certified Professional Inspector) certifications are both sought-after awards. On a similar note, you should always check the customer reviews and testimonials for further confidence. If a company offers various tiers of service, opt for the highest. It may seem a little frustrating to spend more money during this expensive period. However, as a one-off payment, even a $1k inspection is easily worth the investment. 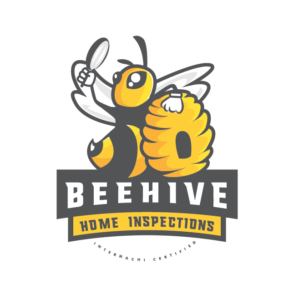 Ultimately, the home inspection is one of the most vital aspects of the entire property purchasing process. Whether you’re buying your first home or moving on to bigger and better, overlooking this option simply isn’t an option. If nothing else, it allows you to move with the utmost confidence. This in itself is a simply fantastic reward.